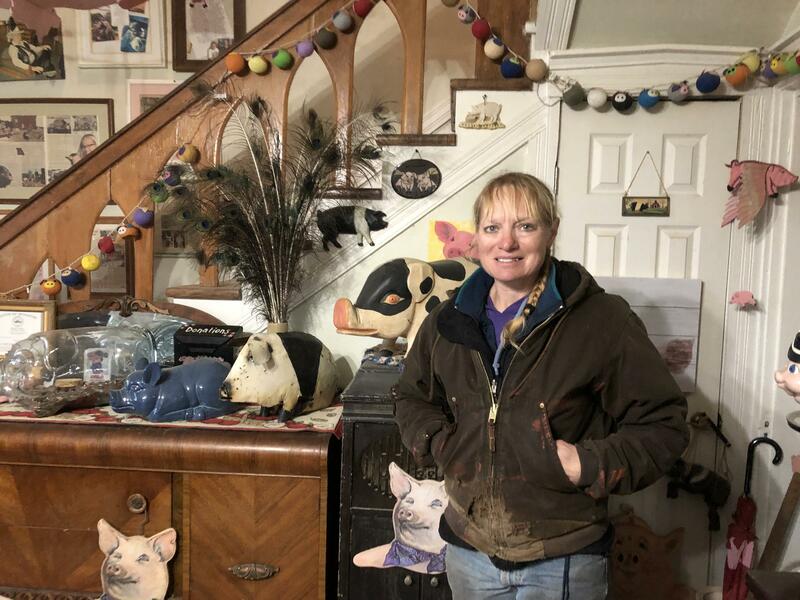 Cindy Brenneke, owner of Where Pigs Fly museum, stands in her home in Linn, Missouri. Brenneke owns thousands of pig collectibles. After months working to comply with state regulators, the only pig museum in the United States is open again for business. As KBIA’s Seth Bodine reports, the museum's owner dedicated herself to agricultural education after some unexpected life events.